KISS lead man Paul Stanley has taken to his twitter account to tell Motely Crue bassist Nikki Sixx to stop commenting in public about Gene Simmons' Prince comments. 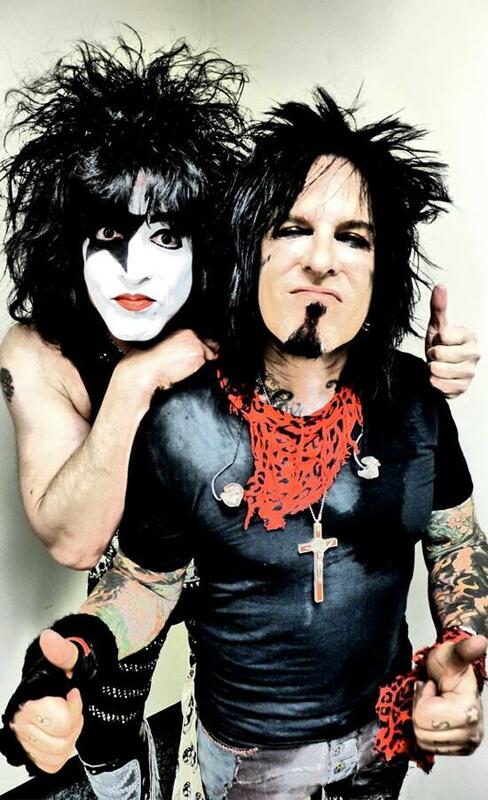 "Jesus Christ Nikki Sixx! 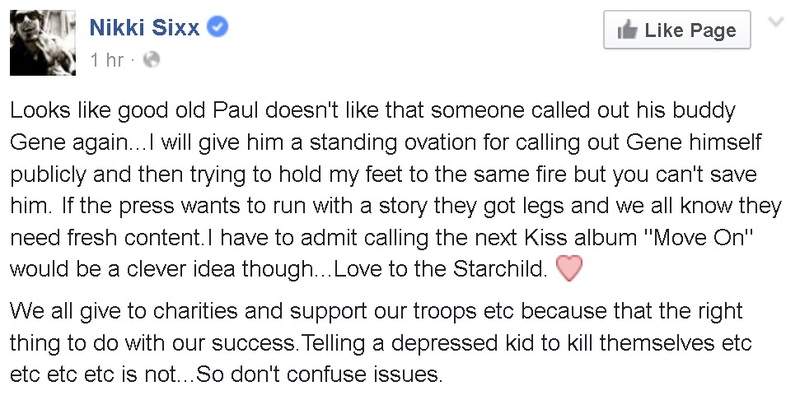 Would you please shut up, find another way to be in the news and get off your self inflated pedestal. 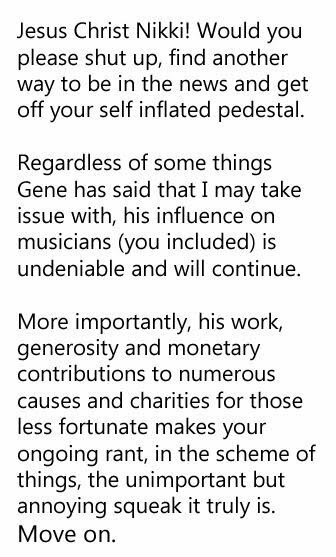 Regardless of some things Gene Simmons has said that I may take issue with, his influence on musicians (you included) is undeniable and will continue. 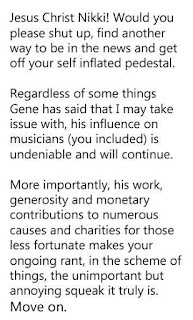 More importantly, his work, generosity and monetary contributions to numerous causes and charities for those less fortunate makes your ongoing rant, in the scheme of things, the unimportant but annoying squeak it truly is. 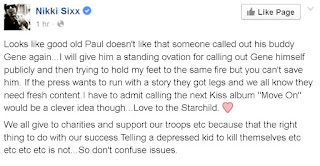 We all give to charities and support our troops etc because that the right thing to do with our success.Telling a depressed kid to kill themselves etc etc etc etc is not...So don't confuse issues."